This article certainly, might not be the first one you are finding for weight loss solutions. There are plenty ways to lose weight naturally, through diets, exercises, etc. But this is something magical. You might have heard this ‘reflexology techniques’ or ‘acupressure,’ the alternative medications which work very quickly without any side effects on the body. The best way to lose weight might be of your choice, or it may depend on your body condition, but acupressure has an immense natural, stronger, and faster treatment than any other therapy. Acupressure is one of the best parts of Traditional Chinese Medicine(TCM), which is scientifically yet to be proven, but practically, it has many successful customers. 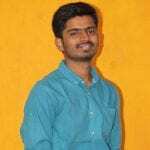 Acupressure for Weight Loss: How Does it work? Acupressure has been proven successful for curing several body pains and minor health ailments like cold, cough, constipation, etc. But overweight seems to be the problem of the whole body. Acupressure treatment has a straightaway solution for quick weight loss. The principal operation of acupressure treatment is ‘relieving the life energy(coined as ‘Xi’ in TCM) from the meridians’ that are spread all over the body. The same operation works with acupressure points for weight loss. Healthy digestive tract mobilizes fats and gets effective cure from free radicals in the body. In the process of strengthening the digestive system, we get relief from food cravings which is highly important for obese people. To add to these, slight modifications to food habits and timings help a lot to lose weight fast. Application of acupressure points for weight loss is a bit different from regular pain relief treatments. Initially, start with light massaging on the acupoint/pressure point. Then, keep applying firm pressure on the point for the mentioned duration of time. End up the treatment with light massage again. Take deep breaths while applying pressure. Acupressure weight loss techniques majorly depend on managing the breaths. It helps in effective activation of life energy to get a movement. This three-step process with acupressure for weight loss has its role to play in the treatment. It works better because weight loss treatment is carried out with a gradual effect on the body. Initial activation of the digestive tract, energy relieving from meridians give the best natural weight loss effect without any possibility of side effects. Location: Just below the belly button, at about 3 centimeters down, abdomen point is found. Massage for 2 minutes and two times in a day. About the Point: Abdomen point is known for constipation treatment. Also, the digestive system is strengthened by the activity of applying pressure. Use two fingers for massaging around the pressure point. Abdomen point works well for controlling belly fat too. On the whole, it not only has the importance in acupressure points for weight loss but also for many related issues. Location: Right under the last rib of the ribcage, above the stomach, we find this abdominal sorrow point. The point is in line with earlobes on both sides as you can see the picture. 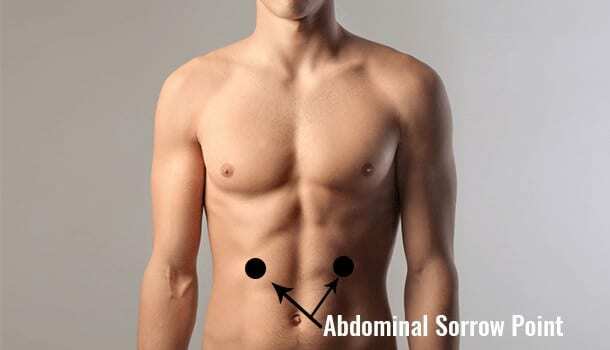 About the Point: Abdominal sorrow point works best for ulcers, indigestion, and rib pains too. Such indirect ailments pave the best way to lose weight by guiding digestive, circulatory systems with right effects. It also balances dietary habits by causing changes in appetite. Apply pressure on both the points for around 5 minutes with middle fingers. Location: Place your finger on the auricle of the ear check for the most responsive point of the region by moving your jaw muscles. Place a thumb on that active point to apply the pressure. About the Point: The ear acupressure point controls the food craving and improves digestive capabilities. 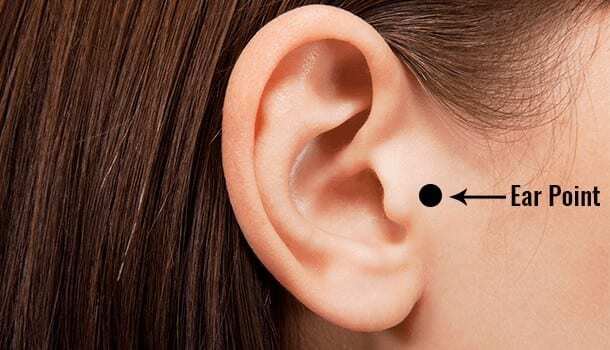 Also, other three pressure points surround the ear point which also aid to lose weight fast through the process. It is the best-suggested point in acupressure for weight loss. 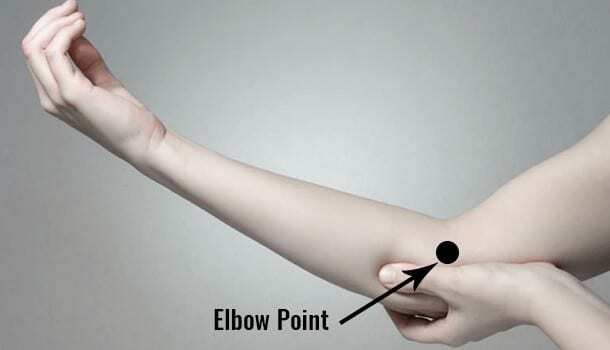 Location: You can observe the elbow point on the elbow crease nearer to the end of the line, a thumb-width distance away from the joint. About the Point: Typical digestive problems like bowel functioning, excess fluid retention are resolved with this pressure point along with weight loss. Treatment with acupressure for weight loss shows diversified activities due to their performance for extremely wide problems. The acupressure points work on a typical functioning of removing heat from the joints, reducing excess moisture from the body. Elbow point is the primary example for such operations. Location: Knee point is about 2 inches below the knee joint, on the outside offset of the bone on both legs. Sense the pressure points on both legs by identifying the muscle movement when you rotate the leg about the knee joint. About the Point: Knee point is also for the digestive tract and stomach health. It also regenerates and rejuvenates the blood, which is quite a special thing in quick weight loss treatments. Blood purification does a detox and cleansing of dead cells out of the body. Apply pressure on the point for 2 minutes, two times a day. Location: It is located on your legs, just above the ankle, 2 inches on top. Off the bone, you can find the point in the inner part of the leg. 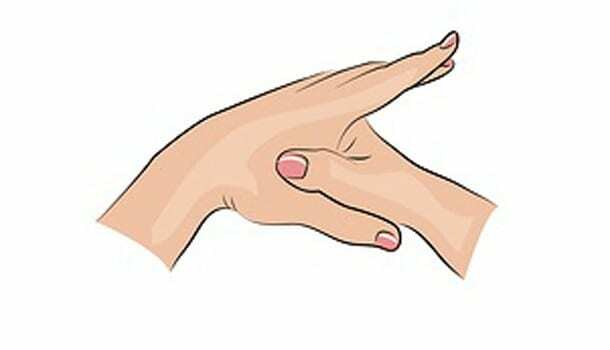 About the Point: Apply pressure on the acupoint with thumb or a knuckle with a soft edge preferably. Apply pressure for a minute daily. This acupressure point for weight loss also isn’t for a single use. It works for digestive health, regulating the food and body’s energy. 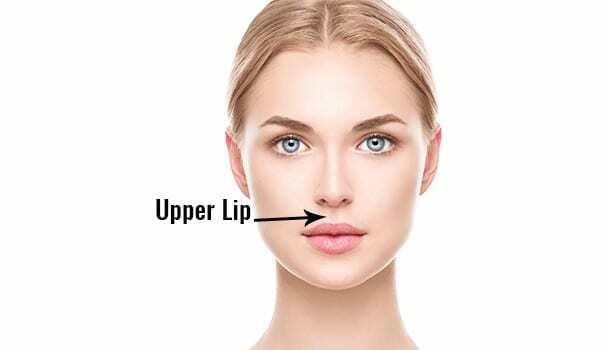 Location: Upper lip point is in the upper lip region, on the crease joining nose and the upper lip. About the Point: Applying pressure on upper lip point cures cravings and stress at one go. Apply mild to medium pressure with the index finger for up to 5 minutes. 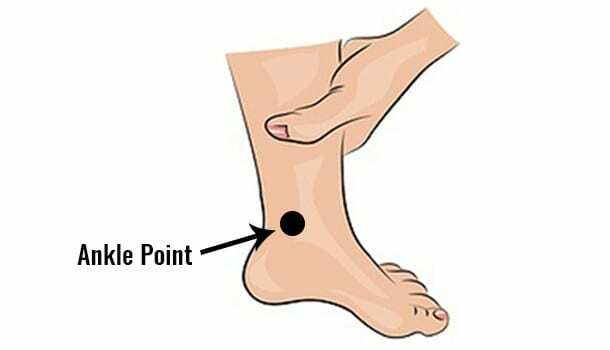 It is the simplest effective pressure point out of all the acupressure points for weight loss. Location: Between the bones, in the V-region of hand’s thumb and forefinger, a fleshy region is sensed, where LI 4 is located. About the Point: LI 4 is the most used acupressure point, where weight loss becomes an additional asset. It reduces constipation and clears the digestive tract with firm application of force on the point. This, in turn, aids in natural weight loss. With the knowledge of best acupressure points for weight loss, we will be able to lose weight fast as they work exactly at the roots of the body. But when we do not have an idea of how we are gaining weight and unable to control things that cause against our weight loss medications, it would be merely impossible to lose weight naturally. Finding ways to lose weight unnaturally or by artificial methods, it would be a practical life threat. Better we understand the importance of natural medication here. These are the best tips to lose weight at the earliest along with the treatment of acupressure for weight loss. Avoid junk. If you are habituated heavily to it, make a program of weekly diet patterns, which bring a substantial positive change. Maintain strict diet timings. This causes your metabolism rate to grow and also enhance the entire system. Start trying healthy beverages like detox drinks, fruits juices which catalyze the process of weight reduction. Make a sample weight loss diet plan with your dietitian’s advice. And, be on that program for until you can observe a considerable change. Do not avoid sleep and food for any reason. They regulate your circulatory and metabolic systems to work properly. Caution: Do not be in a hurry if you are pregnant. Pregnant women need to get more protein and more energy, not the loss from the body. So, Acupressure weight loss measures do not give fruitful results on pregnant women. Better always avoid acupressure if you are too sensitive for minor ailments. Try natural remedies and tips for staying healthy.